Some English translations of Rumi’s poetry are quite literal, e.g. A.J. Arberry. Modern day translators (such as Coleman Barks, Daniel Ladinsky) have often taken more liberty in creating English versions of Rumi’s originals. 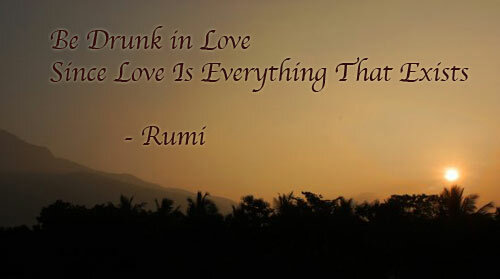 Jalalud’din Rumi is one of the world’s most revered mystical poets. During his lifetime he produced a prolific range of inspiring and devotional poetry which encapsulates the Sufi’s experience of union with the divine. 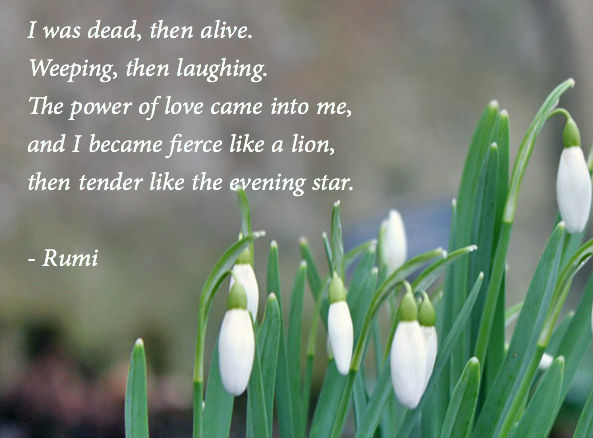 These timeless classics have enjoyed a renaissance in recent years, as Rumi has become one of our most popular poets. Although Rumi was a Sufi and a great scholar of the Qu’ran his appeal reaches across religious and social divisions. Even during his lifetime he was noted for his cosmopolitan outlook. His funeral, which lasted 40 days, was attended by Muslims, Jews, Persians, Christians and Greeks. Rumi was born in 1207 on the Eastern shores of the Persian Empire. He was born in the city of Balkh (in what is now Afghanistan), and finally settled in the town of Konya, in what is now Turkey. It was a period of remarkable social and political turbulence. The 13th Century was the era of the crusades; also the area where Rumi lived was under constant threat of Mongol invasion. The great upheavals Rumi faced during his life is said to have influenced much of his poetry. However the most important turning point in Rumi’s life was when he met the wandering dervish Shams al- Din. Shams was eccentric and unorthodox, but was filled with heart – felt devotion, that sometimes he couldn’t contain. Shams appeared to be quite different to the respectable and prestigious scholar, (as Rumi was at that point.) 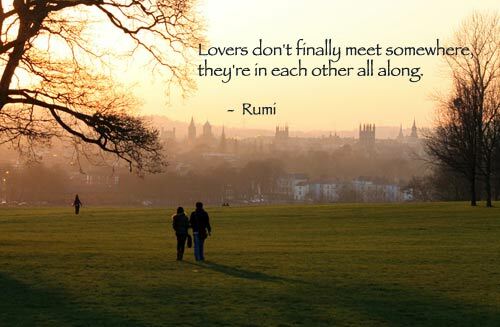 However Rumi saw in Shams a divine presence. This meeting and their close mystical relationship was instrumental in awakening Rumi’s latent spirituality and intense devotion. It was at this point Rumi abandoned his academic career and began to write his mystical poetry. In his poetry Rumi frequently uses imagery which may be unexpected. For example although Islam forbids alcohol, he often describes the sensation of being ‘drunk and intoxicated with ecstasy for his beloved.” Here drunk implies the bliss of the divine consciousness. Love is a frequent subject of Rumi’s poems, descriptions of seeming romantic love is an illusion to the all encompassing pure, divine love. Metaphors such as this are common to other Sufi poets, such as Omar Khayyam, Hafiz, and Attar.